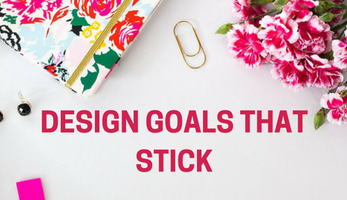 The New Year is right around the corner and with year-end planning underway, you’re probably mapping out what you want to accomplish in the next 12 months ahead. You don’t have to settle for average for yet another year. Try this new method to set New Year’s resolutions that create real results. Questions spark creative, flexible thinking. Embracing challenges with curiosity helps liberate from a perfectionist mindset and worrying about the “right” way we “should” go about achieving our goal. Asking ambitious, yet actionable, questions can shift the way you think—and can serve as a catalyst to bring about change . They can help you get unstuck and rediscover momentum in your business or career. Download a free goal-setting worksheet below with prompts to create your own questolutions below. Success! Now check your email to download the guide.